Not your average weekend music festival, Purple Hatter’s Ball is an emotional celebration, honoring a life taken tragically far too soon. 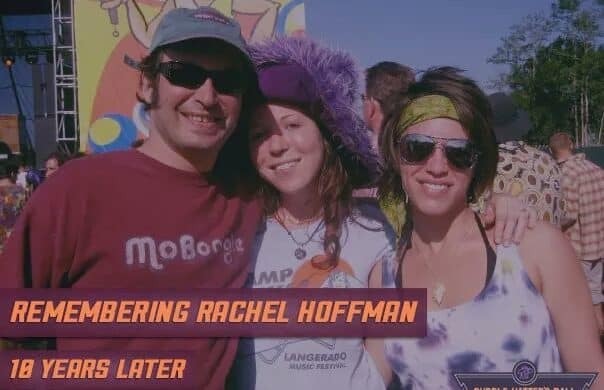 The annual event, held at Live Oak, Florida’s Spirit of the Suwannee Music Park, is held in loving memory of Rachel Morningstar Hoffman—a Florida State University student who was brutally murdered in 2008. While acting as a police informant during a woefully inept drug sting, Hoffman was lured to her death by two hardened criminals, who robbed then shot her before abandoning her body in a wooded area. The story made national news and was profiled in various media circles; the crime mortified the communities she was a part of, at the university and among music fans in the Southeast. Nobody was more devastated by the turn of events than Rachel’s mother, Margie Weiss; following Rachel’s death, her mother has dedicated her life to the Rachel Morningstar Foundation, a non-profit organization in her memory. Weiss’ mission is to educate the public on the risks and complications of using confidential informants and to change legislation. Florida SB 604, known commonly as “Rachel’s Law,” was passed January 8, 2009, and the foundation hopes to continue preventing such tragedies from occurring to others. Weiss has become a matriarch of the music community to which her late daughter once belonged, and every year for Purple Hatter’s, she shares her love, wisdom, and vision of a better tomorrow with the vibrant revelers who return year after year. Margie Weiss on Democracy Now! Weiss’ partner in this mission is Paul Levine, of Spirit of Suwannee Music Park, (co-founder of Bear Creek, and a managing partner of Suwannee Hulaween) and he created Purple Hatter’s Ball in his late friend’s honor—to keep her memory alive in the hearts and minds of many. Together, Mama Margie and Levine throw a purple party at Spirit of Suwannee to kick off every summer, serving as a cathartic gathering of festival family and friends that reminds of a morningstar that burned brightly in the sky. 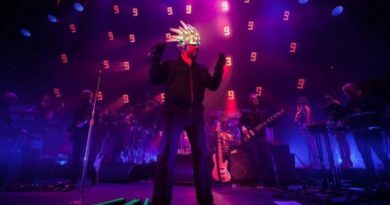 For the tenth anniversary of Rachel’s passing, Levine has put together a unique version of the beloved event, and we caught up with the venerable promoter and all-around gem of a guy as the final preparations for Purple Hatter’s Ball were coming together. L4LM: When did you first connect with “Mama Margie” Weiss? Were you close when Rachel was alive? Paul Levine: I didn’t come to know Margie until after Rachel had been murdered. I got to know Rachel during her time at FSU in Tallahassee through the music community there. She had come out to Lyle William’s [Bear Creek co-founder] property in Quincy, Florida, to help shape it up for what was supposed to be the first Bear Creek Festival, which was later moved to Spirit of the Suwannee Music Park. So she was connected with us when everything was starting, in that regard. After she was murdered, that whole community was devastated—the greater Tallahassee area and beyond. And nobody really knew what to do. So I met Margie at a time when nobody knew if Rachel was alive or not—Margie hadn’t gotten the official word—but I knew some people in law enforcement. It was a weird experience: knowing something that the parents didn’t know yet. That was the beginning of my relationship with Margie. [Pauses.] Anyways, I got to know her and a lot of Rachel’s friends through that whole experience. There was just sadness and confusion; no one understood what or how it happened. Back then, the police department was blaming Rachel, and the news was too! It was just a really horrible time, but as you know, through the music and arts communities, that’s sometimes where healing has to start… or helps to start. The natural thing to do on my mind was to have a gathering with some music, and remember Rachel—she meant a lot to so many people. L4LM: That’s heavy, and obviously, that bonded you guys for life because here we are all these years later talking about the 11th Purple Hatter’s Ball. Before we move into previewing the festival itself, could you please explain the significance behind the purple hat. It’s the name of the festival, the name of your entire production company too. What’s up with Rachel and the purple hat? PL: We were trying to have an event in her memory; we wanted it to be a happy memory, you know? That was kind of her go-to festival attire: a fuzzy purple hat. L4LM: A symbolic way to remember her in a funny, silly, festival light that was entirely her. PL: Yeah, completely. To remember her as she was—Rachel in her happiest state. L4LM: As you have said in the past, you tried to create Purple Hatter’s Ball in her honor and memory, and you try to really make up a festival with the vibe of one that she would want to go to. What are some of the elements you look for, with artists? Whether it’s genre-based or members of bands with any connection toward Rachel or with her spirit? What do you use to guide you when you put these PHB lineups together? 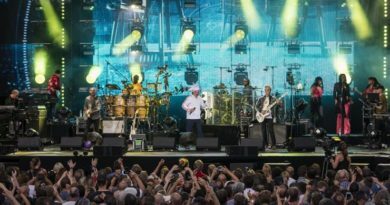 PL: I’ll think of shows that I remember her being at—DubConscious shows or Toubab Krewe shows, Zach Deputy, Catfish Alliance. You know that she fully supported her bands, she got behind the local Tallahassee shows, and of course, she loved Bear Creek. There’s a great video of her dancing on stage with Dumpstaphunk at the first Bear Creek. Her spirit was there. I think that she had an eclectic taste in music, and as our incredible music scene has expanded, there’s a lot of different directions I’m sure that she would have poked at. She would have been a fan of all different types of music, so each year takes on kind of an angle of where she might have wanted to go. She always liked to dance and for things to be funky. You can count on that at PHB. L4LM: Each of the artists that you select to play Purple Hatter’s have a connection to Rachel, or if they don’t, then they are the type of artist that she might be into. What goes into that process, when you are putting together a Purple Hatters Ball? Paul Levine: As much as possible, there’s a core group of artists that have played every Purple Hatter’s Ball, or as many as possible. Catfish Alliance, Trial By Stone, MZG, DubConscious, and The Malah—they have played the event year after year. Toubab Krewe, who appears this year, has probably played PHB three or four times; The Heavy Pets, maybe even five times! L4LM: And then you select newer performers that you are pretty sure Rachel would have loved? PL: I have no doubt, since she was a Bear Creek fan, that she was a Lettuce fan, a jam band fan. 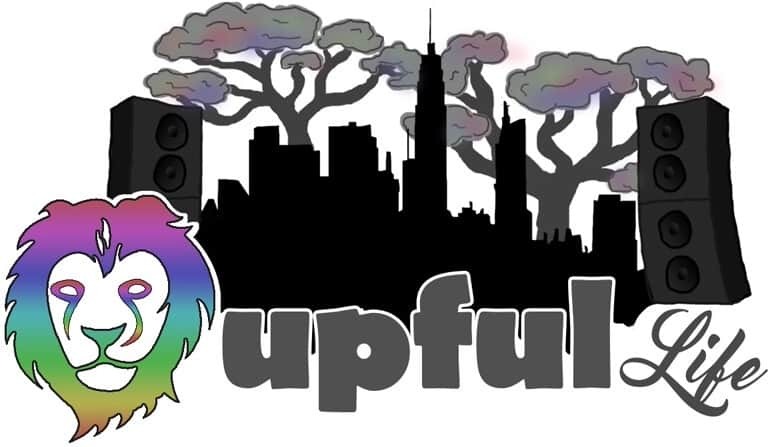 I think Rachel would be stoked if she found out Spafford was playing her festival. We are excited to have Southern Avenue too—right up Rachel’s alley. Hivemind from Atlanta is coming down. That’s Dave McSweeney’s new band; he’s been a part of this from the beginning with Greenhouse Lounge. He is family. Roosevelt Collier is back again—he is Bear Creek family too. I suspect that Rachel loves Roosevelt, and she already loves Lettuce. Purple Hatter’s lineup respects her past but also pushes into the future as well, and I think she would have really enjoyed it. Specifically, regarding Lettuce, no band is more a part of this community. Out of the Purple Hatter’s core bands, how special will it be for them to play the last set of the festival and really leave us at a very high point? But with a lot of emotional weight and gravity involved. It’s exciting for me, and I know for you too! L4LM: Let’s discuss the “party with a purpose” side of Purple Hatter’s Ball and the history behind the event. I wanted to ask some serious questions about what’s come of this unfortunate situation—beyond the incarceration of the murderers. I’m speaking of the work that Margie Weiss has done with legislation and the government, locally and nationally, with Rachel’s Law. What can you tell us about the progress she’s made raising awareness about how confidential informants can be used? PL: The really horrible thing is that Rachel’s story continues and frequently becomes relevant because the police are still using untrained, unqualified people to do these types of stings. Sadly, there are not laws like this one all over the country, but more and more, there are some states taking action. That’s good news, and there’s some steady progress. Margie’s been involved in helping other victims with their situations and helping the momentum of initiatives all over the country. PL: It makes her feel like a queen for the weekend. L4LM: I wanted to close with one of the more touching, emotional experiences I’ve had—not just in music but in life. The ceremonial release of the butterflies from the Amphitheater Stage at Purple Hatter’s Ball. It is a symbolic gesture to Rachel, and really anybody who has lost a loved one, especially in tragic circumstances. What is the idea behind that? PL: It’s one of the most looked-forward-to moments of the weekend. It’s deeply cathartic and healing on top of being sad, but something Margie brought it to the PHB early on—she feels Rachel’s spirit is embodied in a monarch butterfly. She purchases twenty-three butterflies for the years Rachel was on Earth, and one for the spirit of who she is now. We share those butterflies. Margie hands out one to a friend or audience member or whatever, and after, we talk about Rachel and tell her story. We release butterflies in the air and have a moment and thought about Rachel. It’s really incredible. 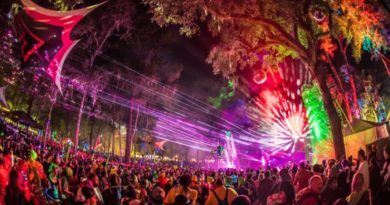 This year, Purple Hatter’s Ball takes place on June 1st and 2nd at Live Oak, Florida’s legendary Spirit of the Suwannee Music Park. Featuring a lineup that Rachel would have loved, including Lettuce, Spafford, Breaking Biscuits, Toubab Krewe, The Heavy Pets, Roosevelt Collier Trio, and many more, come share in the joyous celebration of music and life that is Purple Hatter’s Ball. Tickets include two days of music and camping, and can be purchased on Purple Hatter’s Ball’s website here.